Pure Nutrition, Not Fluff. 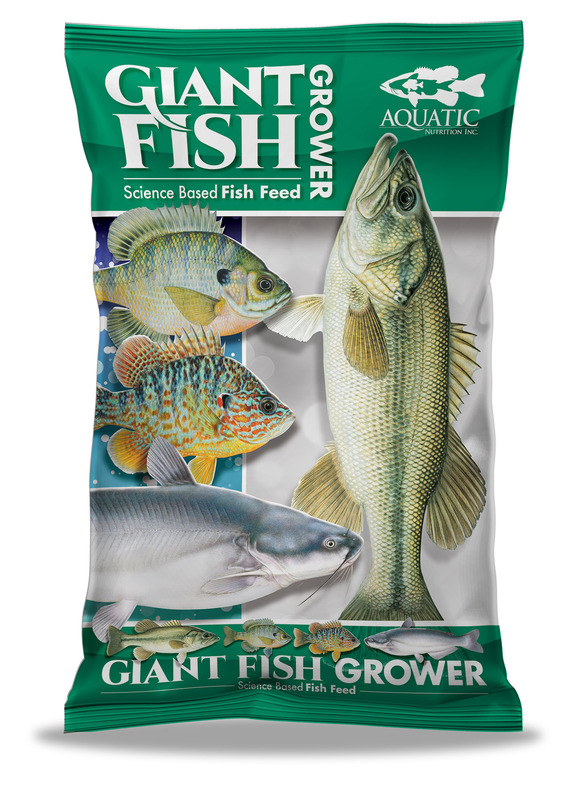 - Fish can only eat a certain amount of food at a time. Make sure that food is nutrient packed and NOT just cheap corn filler. More nutrition = Faster Bigger, Healthier Fish! Turn Your Pond or Lake Into a Trophy Fishing Destination. 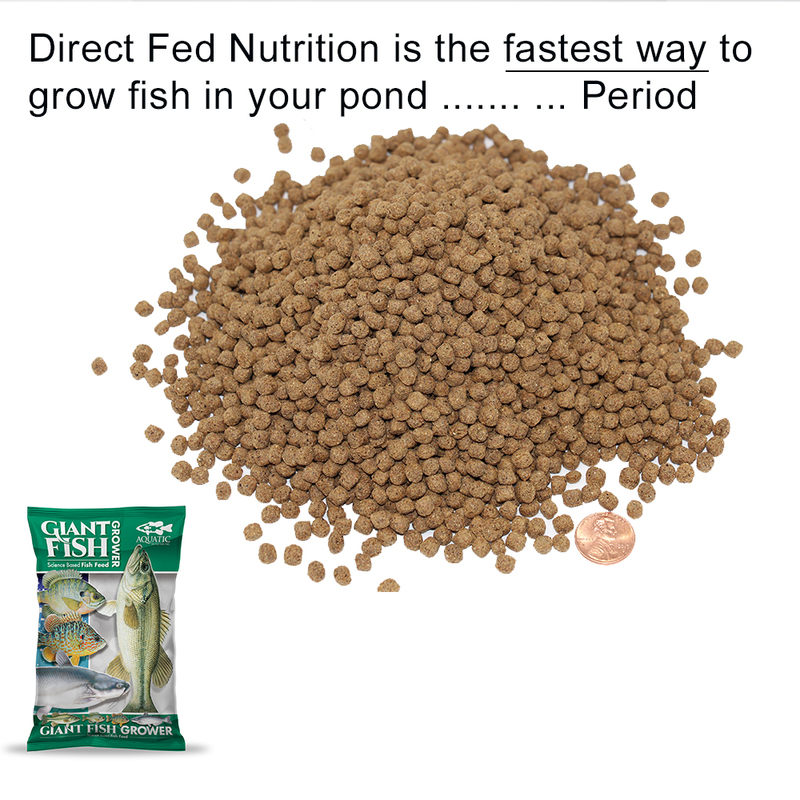 Directly fed nutrition is the fastest way to grow fish. 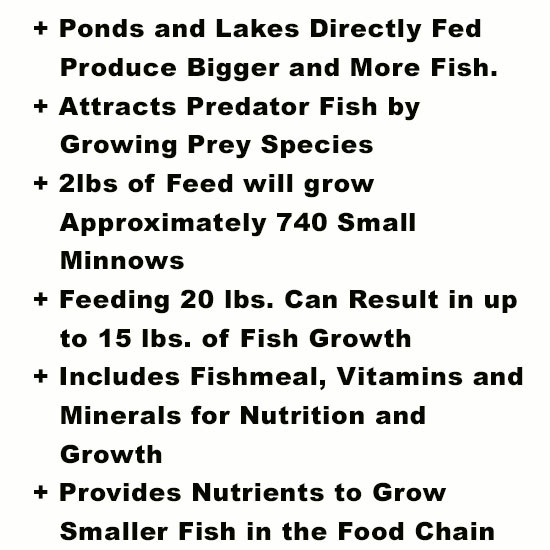 Lakes and ponds that are directly fed typically hold twice the number of fish and much, much larger fish. 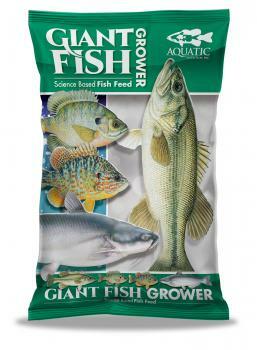 Giant Fish Grower provides the nutrition that rapidly grows fish. Feed the prey species that feed the predator species.